Ball Jointed Doll (BJD) Sales at Resin Market: Sell / Buy BJDs and BJD Accessories! 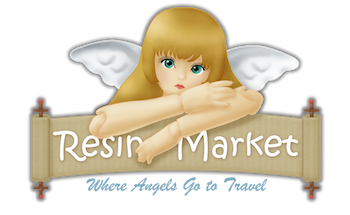 Resin Market is a community for Ball Jointed Doll collectors, like you, to buy and sell BJDs with other members. Join us, it only takes a minute! Resin Market: Welcome to Resin Market, an online marketplace for Ball Jointed Dolls (BJD) and their accessories. This marketplace was set up in hopes of reducing scammers within the community and get all sales to a more central location to also better keep track of feedback. Please contact us through our Facebook Page is if there's any issues or concerns and we'll do our best to address them in a timely manner. Thank you!